Sanibel Fishing, Sanibel Island, FL: Yesterdays trip produced Trout, Ladyfish, Spanish Mackrel, small sharks, big blacktips, and MORE ! 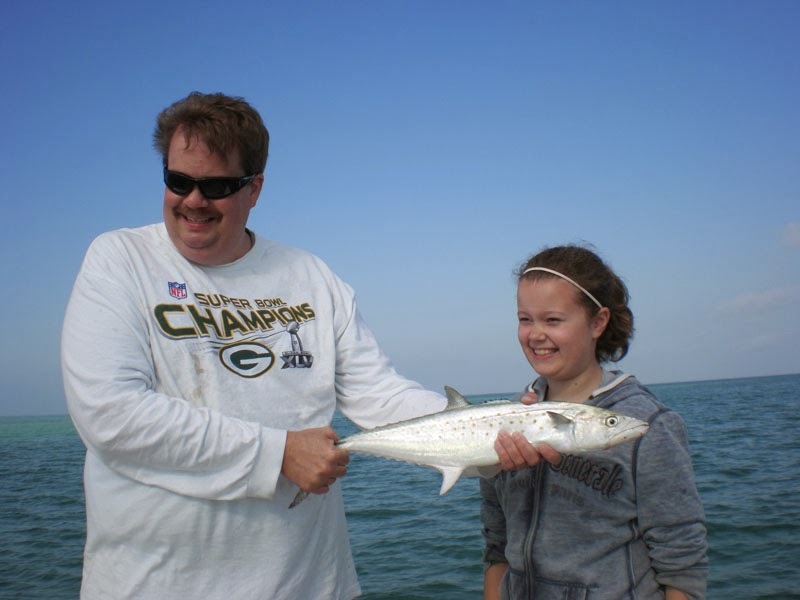 Yesterdays trip produced Trout, Ladyfish, Spanish Mackrel, small sharks, big blacktips, and MORE ! March was a month packed with fish and lots of trips. The variety has been outstanding if you take out the Snook, you can almost pick what you want to target. Yesterdays trip produced Trout, Ladyfish, Spanish Mackrel, small sharks, big blacktips, and finished the day with redfish and flounder. We even tried (unsucessfully) to jump a Tarpon. Tarpon season will start soon, I have lots of dates open in May and some still open in April. Don't wait until the last minute to book, it has been a busy season .